Tales From A Girl Moon: Photo Blog: Lots of Flowers! I've accidentally found myself surrounded by little floral vignettes at the moment and it's invigorating! 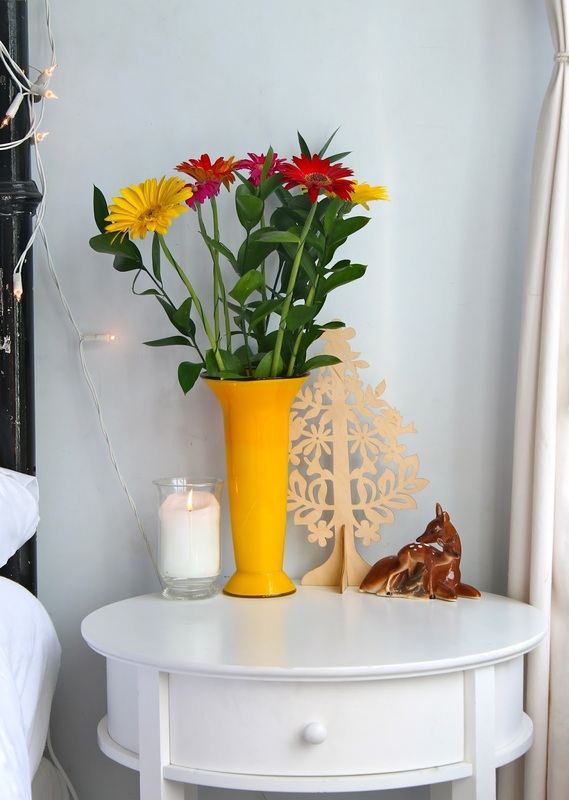 In the bathroom, in the bedroom, in your office - whichever personal space you choose, decorating with flowers brightens up the dullest of imaginations. They breathe life into a room and take little effort to maintain. Fresh flowers are natural air fresheners; with none of the chemicals and all of the purity. Personalize it with your favourite variety or just pick a bunch of wild flowers. There is nothing more pleasant than brushing my teeth while the sweet scent of Gardenia lingers in the air and waking up to the overwhelming smell of Jonquils. I've mixed it up and have currently got one birthday bouquet from a florist, a little posy of flowering buds from the tree over our fence, and a bunch of random stems I picked walking my dog. It's not often that I have this many floral pockets around me but it's so beautiful and relaxing, i'm going to have to up my flower game on the regular.